We are proud to offer the simplest junk cleanout process in the industry. Visit our pricing page to get an idea of how we charge. There is an interactive pricing estimator on the page that will allow you to get a good idea of how much your job will cost before we even get there. Give us a call at or Book Online. We schedule in two-hour arrival windows and will give you a call when we are on the way to your property. Receive an upfront all-inclusive estimate of your job cost. Our team will arrive and provide you with an all-inclusive price for your job. Watch as your stuff disappears! As long as you approve the estimate we will go ahead and take care of your stuff right then and there. We will settle up by either cash, check, or credit card at your discretion. We will then be on our way to a recycling facility, donation center, or licensed landfill. If any of your items are donated we will mail you a donation receipt! When you need junk cleanout and removal in Charlotte and surrounding areas, Junk Doctors are the ones to call! Junk Doctors does their best to ensure that your items receive a chance at a second life. As our team loads the truck they are sorting items that should be donated, recycled, or disposed of. Any items that are donated will be taken back to our sorting warehouse and then delivered to a local charity. We tend to work with these charities because they are locally based. Our reasoning is that there are less expenses up top so a higher percentage of the revenue your items bring in goes to charitable causes compared to some of the larger charities. Sorting through donate-able and recyclable items is one of the things that separates a full-service junk cleanout company from a dumpster rental company. With a dumpster rental company the items that go into the dumpster go straight to the landfill. For that reason, there are many items that you are unable to put into a dumpster. You are not able to put electronics, pallets, tires, appliances, computer monitors, or televisions in a dumpster. Often times you are not allowed to put in yard waste without paying an additional fee. However, a Junk Removal Charlotte company can sort through those items and recycle them. That allows us to accept the items that a dumpster rental company will turn away. Charities are becoming more selective as to what they take out of necessity. Furniture has to be in almost like new condition with minimal wear and tear. Clothing should be stain and tear free. Basically, if it is going to be donated it needs to be because it is still nice but you just no longer need it or want it. To prepare your items for donation we do ask that you do a few things. Obviously, our guys are able to look at large pieces of furniture and know if it is in good enough condition to be donated. Those pieces they will load as needed and then take them to a donation center. However, if you have smaller items such as clothing, toys, holiday decorations, dishes, etc. we do ask that you prepare these items for us. What we mean by that is have them boxed or bagged together and labeled with a Sharpie marker “for donation”. Please separate any clothing from other donatable items . We will mail you a tax receipt for any items that are donated. Do keep in mind that it may be a few weeks before you receive your receipt. Your items could be taken to our warehouse and sorted where it could be up to a week before they are taken to a donation center or picked up by a charity. Then allow us up to a week or so to mail off the receipt. Please make sure that if you are moving you provide us with your mailing address. Junk Doctors has been incorporated since January of 2012. We are the experienced locally owned option for junk removal in the Charlotte, NC and surrounding areas. Since that time we have made it a dedication to provide a team that is knowledgeable, personable, respectful, clean cut, honest, hardworking, and of course… strong. We are also locally owned. All but one of our competitors are franchises. Each of those companies sends between 12%-15% of your money out of the area to their corporate offices in the form of a franchise fee. That means that your money is leaving North Carolina and going to either Canada, California, or Florida. Should you choose to go with Junk Doctors all the money will stay inside the local economy. Junk Doctors core business comes from residential clients. However, we do offer office or commercial junk removal in Charlotte, Concord, Kannapolis, Mathews, Monroe NC, and surrounding areas. Offices tend to have lots of electronics and heavy furniture or equipment that need to be removed. Junk Doctors has equipped our truck teams with the necessary straps, dollies, equipment, and knowledge to do the job correctly. We also work fast and respect the fact that work is often going on while junk removal is taking place. For the client that is unable to have work going on during regular business hours, we do offer off-hour service for no additional charge. Junk Doctors has removed lots of hot tubs in Charlotte area and surrounding areas including Gastonia, Hickory, Kannapolis, Concord, Fort Mill and others. We only charge our normal rate dependent on how much space the hot tub would take up in our truck. This will generally run anywhere from around 5/8ths of a load for a 6×6 or smaller hot tub to closer to a Full load for a 8×8 or larger hot tub. Pricing can vary a bit due to how your hot tub is set up. Junk Doctors uses a special saw to cut your hot tub into sections. This allows two guys to safely remove your hot tub from anywhere within your property. Often times deck rails are built up around a hot tub. Since we cut the hot tub into sections we do not have to disassemble any part of your deck. It also does not matter if the hot tub is located on top of your deck or is recessed down in it. We can do it both ways. What do you need to do before we arrive? There are a few things. We are not electricians so we do ask that you have the hot tub disconnected from electrical power. The last thing is to please drain the water from the hot tub. Once those two things are done give us a call so we can get your hot tub removed. One group of people that Junk Doctors are always providing junk hauling services to are landlords and apartment complexes. Unfortunately, it is not so uncommon for a tenant to leave all of their stuff with you when they leave. Chances are that none of it is valuable because if it was they would have taken it themselves. Every minute a rental property sits vacant is missed income. Junk Doctors can almost always offer same day service in order to get your job completed and get your unit back on the market. Landlords and Apartment complexes are eligible for special VIP pricing. If you manage over five units then let us know and we will work up a discounted price sheet tailor-fit for your business. Do you have a storage unit full of items that you need to get rid of in the Raleigh/Triangle Area? The Self Storage industry started in 1958 in Fort Lauderdale, Florida. It began to grow at a steady rate through the 60, 70s, and 80s. Growth picked up in the 90’s and absolutely exploded in the early 2000s. Now that the economy has begun a recovery you are seeing construction begin once again on the self-storage industry. Americans love their stuff and often times have more stuff than they have space. For that reason, they turn to storage units to store their stuff. Depending on the size and location of their unit most people in the Charlotte area, and surrounding areas pay a rate of somewhere around $60 to $150 a month. Often times storing the stuff really isn’t your best option, especially if it is going to be long-term storage, like a year or more. Often times the amount you pay in storage over a long period of time exceeds the value of the items within the unit. That’s when it makes sense to have a full-service junk hauling company come in. When Junk Doctors arrives on site we will take a look at everything that you have and let you know a firm price to remove the items. Once you give us the go ahead we will proceed to load everything up for you. Theoretically most of the stuff in your unit does have some value, otherwise, you likely would not have stored it right? Rest assured that Junk Doctors will sort through the majority of your items in order to donate and recycle as much as possible. One of the nice things about storage unit junk removal in Charlotte, NC and surrounding areas is the fact that you don’t even have to be there. If everything in the unit is going or if it clear as to what goes and what stays then you don’t have to be there. All you would need to do is give your storage unit manager a call and let them know that Junk Doctors is clearing out your unit. We have done jobs at the majority of storage units in the Charlotte/Queen City areas so managers are familiar with us. Let us know the unit number and the combination of the lock and your unit will be emptied without you even having to be there. We are able to take payment via credit card over the phone. Do you have an old storage shed that has become an eyesore? Junk Doctors can tear it down and haul it away. Do you have an old storage shed that has outlived its usefulness? Has that shed simply become an eyesore rather than a valuable structure? If so then it might be time to give Junk Doctors a call to have them come tear down and remove your shed. It does not matter if your storage building is wood or metal. We can remove the shed anywhere in Charlotte or the surrounding areas. Our team of two will come and quote you an all-inclusive price. You are simply charged our normal volume-based rate dependent on the amount of space the shed takes up in our truck. There is an extra nominal disassembly fee. If your shed is 8×8 or under the charge is $50. If the shed is larger than 8×8 the charge is $100 plus volume rate. We can also remove any items that are inside the unit if you would like. We do equip our team with the proper saws, pry bars, and other tools to do the job correctly. Our company is fully insured as well so you do not need to worry about liability should our guys injure themselves. Do you know of someone struggling with compulsive hoarding? Junk Doctors can help get them cleaned up. Hoarders will collect what most people would consider trash. Many of the hoarding jobs we have done have newspapers dated years back, junk mail, torn clothing, fast food cups, magazines, etc. Generally, the hoarders have created paths to walk. Often times the door of the house barely open because of the junk wedged in behind them. Hoarding is a health hazard from the increased likelihood of falling and from the sanitation issues caused by having so much trash. Often times these homes are infested with mice, roaches, and spiders. Hoarding symptoms can show up early in life however they tend to worsen as an individual grows older. Traumatic events can really kick in the hoarding tendencies as the individual tries to gain satisfaction from the items they hoard. A death of a close friend or relative is a common cause for hoarding tendencies to worsen. Most of the time loved ones who attempt to help the hoarder clean up will be met with animosity. It truly puts a strain on relationships. Junk Doctors does about seven to eight hoarding junk removal jobs each year. Almost all of the time it is done by friends and relatives of the hoarder without the hoarder being present. Our team can enter the house and remove all of the trash. We will do a sweep of the entire house to complete the job. Professional cleaners can then come in after and often times with minimal repair work get the house back to like new condition. The hoarder needs to receive psychiatric help or unfortunately, they will go back to their tendencies once they get back to the house. Our Hoarder Clean Up service area includes most of the NC area from our Charlotte area services all the way back to Raleigh and beyond. We also service the Greensboro market and will go into other areas due to the sheer size of these jobs. Bed bugs had become all but extinct many years back because of the widespread use of the insecticide DDT. DDT has been banned from being used for decades now and the bed bug has finally made a comeback. We are doing several junk removal jobs every month remove furniture that has been infested by bed bugs. Often times the only good way to get rid of a bed bug infestation is to get rid of all the furniture that has been infested. Then hiring a good, reputable exterminating company that is used to treating bed bugs to come into your home. The most common and effective way to get rid of bed bugs is by heating your home up to approximately 140 degrees for several hours. Junk Doctors has the HAZMAT suites to prevent the spread of bed bugs. We also wrap large furniture in order to keep from spreading the bugs to your neighbors as we are moving the items. We will take all bed bug infested furniture and other items straight to the landfill. Please note there is a $75 surcharge for all bed bug junk removal in Charlotte and surrounding areas. Death is an unfortunate reality that all of us will face at certain times throughout our life. When a loved one passes it is obviously a very difficult time emotionally. However, it is also difficult because of everything that has to get done. If your loved one had assets that you have been left responsible to take care of Junk Doctors can be of service. We have worked alongside estate auction companies and those left in charge of the estate in order to efficiently and effectively get rid of a loved ones assets to get the property ready to sell. Junk Doctors answers phone calls 24 hours a day seven days a week. When we leave the office the phone will forward over to either one of the company owners, Christian Fowler or Lee Godbold. So feel free to give us a call at 704.659.1482. 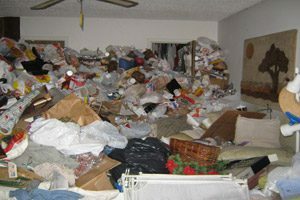 Our team offers full-service Junk Removal in Charlotte, NC. That means all you do is point and we do the rest! Junk Doctors is a full-service junk removal company. We provide all the labor and all pricing is given to you up front. This makes the process easy and fast! You won’t even break into a sweat! Junk Doctors offers donation pickup in Charlotte and surrounding areas including Monroe, Mathews, Mooresville, Kannapolis – even out to Rock Hill SC. Junk Doctors will actually sort your items as we are loading your truck and then recycle and donate whatever we can. If we do donate any of your items then we will provide you with a donation receipt that you can use on your taxes. Excellent service. Workers were prompt (actually had to wait for me) and finished the job in a short time. Reasonable price. I will certainly use these folks again. Fantastic, arrived earlier than they said, didn't surcharge me for the large projection removal because I put it in the street. Class acts, would absolutely use again. Prompt & Courteous service at a reasonable price. I highly recommend them. They were on time and very quick. They removed every piece of debris I had in my back yard.Reasonably priced. I will use them again if needed.